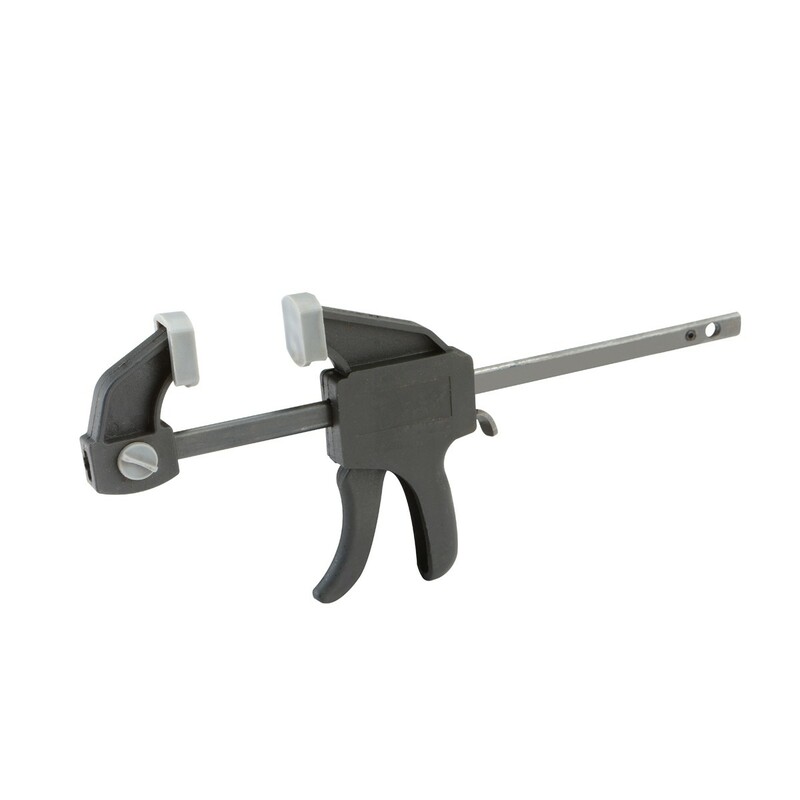 Durable nylon reinforced ratcheting clamp has soft jaws to protect your workpiece. This handy bar clamp pulls double duty by easily converting from a ratcheting bar clamp to a spreader in seconds with no tools required. Easy, single-handed pistol-grip trigger operation and a quick release button for added convenience. Shipping size and weight are estimated. If needed, contact me for details. Thanks for looking and good luck with this auction.